TSPSC Gurukul Teachers Art, Craft, Music & PD Preliminary Keys: TSPSC has conducted Main Examination for Physical Director (School) on 07/09/2017 and Written Exam for the posts of Art Teacher, Craft Teacher, Music Teacher on 31/08/2017 & 01/09/2017. 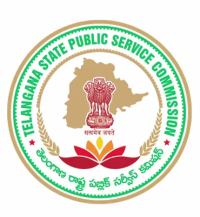 The Preliminary Keys of these exams will be available on TSPSC website from 13/09/2017. The objections on the Preliminary Keys will be accepted online on TSPSC website from 14/09/2017 to 18/09/2017. Candidates are advised to note the above dates and submit their objections through the link provided. Objections received beyond 18/09/2017 will not be considered at any cost. The candidates are instructed to submit their objections only in English and only as per the order of questions appearing on the screen with the question numbers allotted by TSPSC. PAPER CODE-81700- GENERAL STUDIES AND ART AND ART EDUCATION. PAPER CODE-81800- GENERAL STUDIES AND CRAFT AND CRAFT EDUCATION. PAPER CODE-81900- GENERAL STUDIES AND MUSIC AND MUSIC EDUCATION.